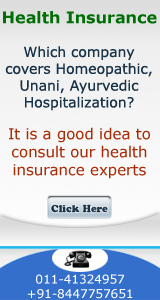 Oriental insurance has made significant changes in the underwriting guidelines for Mediclaim Policy on Sep 15, 2006. The salient points of these are. Premium has been reduced for lower age group and has been increased for higher age group. Cumulative bonus concept has been removed but discount will be given in lieu of the same, which is favorable for the insured. DATE OF ENFORCEMENT: This policy will be effective from 15-09-2006. TPA OPTION: The premium includes cashless facility through TPA. If the policy holder does not require cashless facility then 5% discount on premium may be given. AGE : This insurance is now available to a person between 18 to 80 years of age as under. 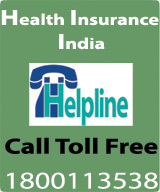 PREMIUM RATES: The premium should be charged as per following scale which has modified Age band and sum insured band. The minimum sum insured is now Rs. 50,000/- and can be increased in slabs of Rs.25,000/- upto Rs. 2 lacs & by Rs.50,000/- from Rs.2 Lacs to Rs. 5 Lacs. Dependent children between the age of 3 months and 21 years can be covered provided parents are covered concurrently and suitable premium is paid. If the child above 18 years is employed or if the girl child is married. He or she shall cease to be covered under the policy. However male child can be covered up to the age of 26 years. If he is a bonafide regular student and fully dependent on primary insured. Female child can be covered uptil the time, she is unmarried. If the insured has taken continuous Mediclaim insurance policy with Oriental for at least 5 years prior to attaining the age of 80 years the policy can be renewed beyond the age of 80 uptil the age of 90 years as a special case with the approval of Regional In charge on case to case basis. No inclusion of family member during currency of policy is permissible except for new born child between the age of 3 months to 6 months and newly married spouse within 60 days of marriage. Otherwise inclusion of family member shall be allowed only at the time of renewal.